Harry Dresden is at it again, this time with werewolves… lots of werewolves. I know I’ve said in the past that I wasn’t that into werewolves and vampires these days, but I guess I like contradicting myself. Also, I wanted to continue the series so I didn’t have much of a choice. This book was quite a bit more violent than I expected from the tone of the first book. There was some gore in that one as well, but this one was worse. I guess werewolves are like that, and Harry spent most of the book getting ridiculously beat up. Ultimately though, I think it reminds the reader of his vulnerability. He’s just a guy with some knowledge and power, doing the best he can, although given how many close calls he has, he’s pretty lucky too. What kept this book a little more interesting was the different types of werewolves. Rather than just hunting down one target, we get to see different ways one can become a wolf. I liked the variety. It added some much needed complexity to a potentially simple and predictable subject. 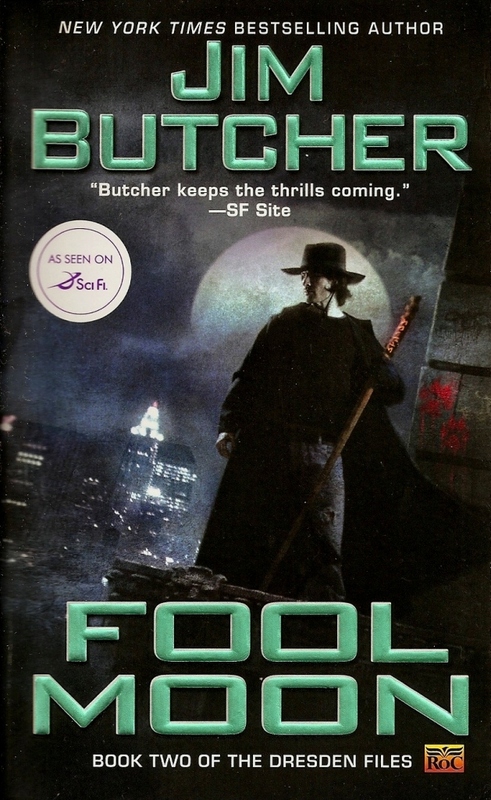 My first introduction to the Dresden Files series, came in the form of a sadly short-lived TV series on the SciFi channel some years ago. I really loved the show, and although I looked into reading the books at the time, I wasn’t thrilled with them. There were certain changes they made to the characters in the show, making them just a wee bit more serious, and I liked that more than what I read briefly in an excerpt from the novels online. Maybe I just liked what I was more familiar with, but like so many other under appreciated shows, it was cancelled after half a season. For a long time I considered reading the books, since I couldn’t watch the show, and recently, after seeing Cold Days on the bargain shelf at Barnes & Noble, I thought it was about time I gave it a try, regardless of my first impressions. I came at this series with an open mind, not expecting it to be the same as the show, and it’s really growing on me. 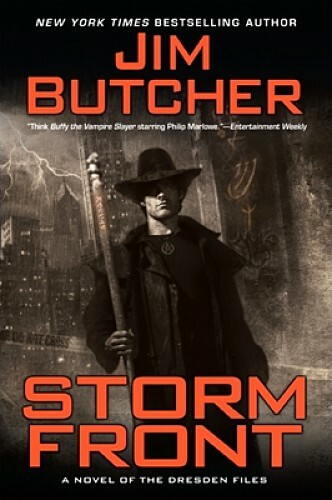 Harry Dresden is still his moody, irreverent self, and the tone is similar but slightly lighter than the show. I’m not sure where to place Murphy in all this. Her character is probably the most different. I’m still adjusting to it, but I think I’ll manage. The overall tone is light, like I said, but with enough serious danger to keep me reading. It was a really quick read in fact, and I like that, since I tend to pick up so many long books. The premise of a wizard who is essentially a private detective, is a fun variation of urban fantasy. Dresden’s dark past, gloomy present, and grumpy attitude actually make for a fun and likeable character, believe it or not. He’s not a hero, but saves lives when he can. He’s not the most powerful wizard either. He just does the best he can with what he’s got, and often goes above and beyond to do it. Maybe that last part makes him a little bit of a hero, but he certainly doesn’t regard himself as such.